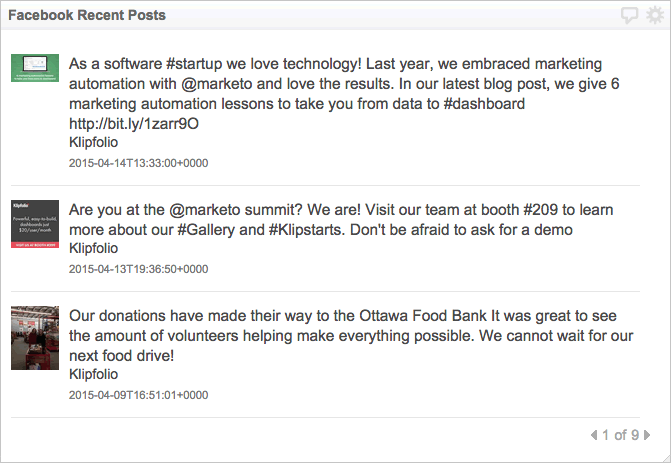 Klip Gallery: Facebook – How can we help you today? See information on your 25 most recent Facebook posts including comments, likes, links, and privacy settings. 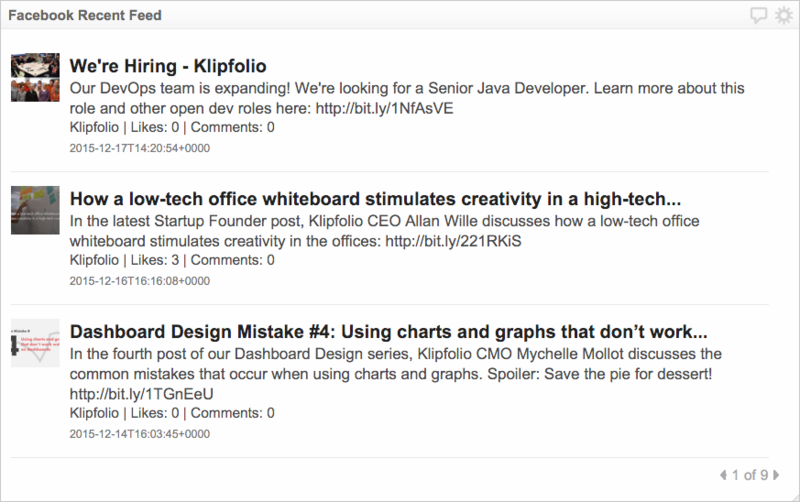 See information on your 25 most recent Facebook feed items including comments, likes, and links. The daily number of people who have seen any content associated with your page (Unique Users). 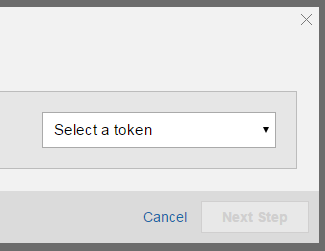 Monitor the number of people who engaged with your page. 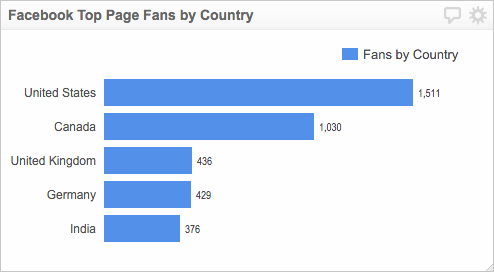 View the most popular places that your Facebook fans are from. 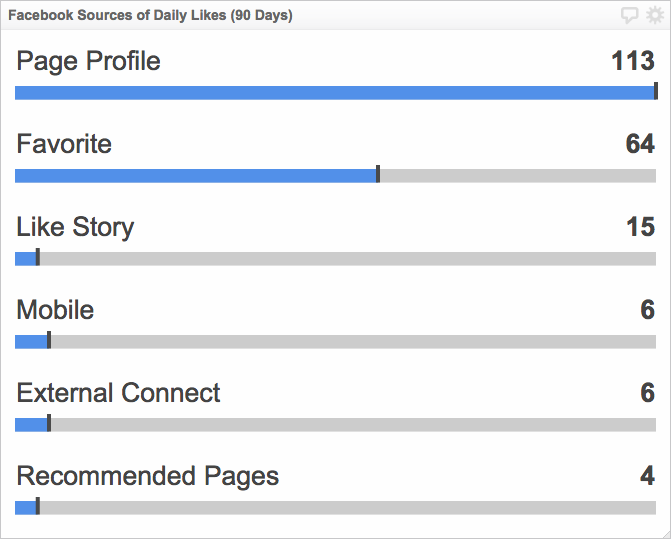 Monitor who likes your Page based on the age and gender information they provide in their user profiles. For more information, see Klip Gallery: Social Media Followers. 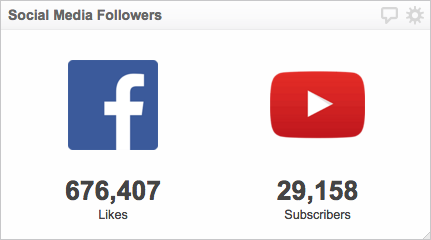 See where you stand on three of your social media platforms (Facebook, YouTube, and Twitter) in a single Klip! See where you stand on Facebook and YouTube in a single Klip!